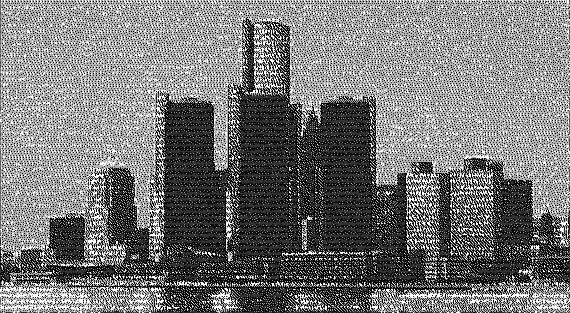 The big question is whether Detroit’s bankruptcy and likely further decline is a fluke or whether it tells us something about the dystopia that the United States is becoming. It seems to me that the city’s problems are the difficulties of the country as a whole, especially the issues of deindustrialization, robotification, structural unemployment, the rise of the 1% in gated communities, and the racial divide. The mayor has called on families living in the largely depopulated west of the city to come in toward the center, so that they can be taken care of. It struck me as post-apocalyptic. Sometimes the abandoned neighborhoods accidentally catch fire, and 30 buildings will abruptly go up in smoke. The future is not Detroit or today’s GOP-dominated state legislature in Lansing. It is Something Else. Michigan’s slow, painful decline is trying to tell us something, that robots, race and unhealthy forms of globalization are death to cities under robber baron rules. We need new rules. « How are human rights affected by class and race?